Let’s Make America Cake Again! 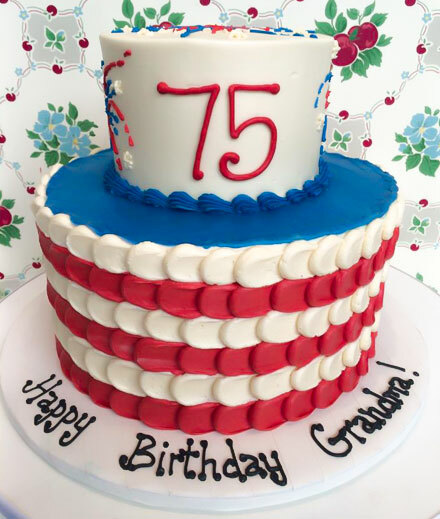 America may be “baseball, Mom & apple pie” but CAKE is our first choice to celebrate the milestones in our lives. We eat cake to commemorate birthdays, weddings, baby showers, graduations, retirements and every occasion in between. We have cakes to praise achievements, friendships, anniversaries and cat weddings (it’s no joke; see previous blog entry). Young children think about what they want their cake to look like months in advance of their birthday. A bride views her cake as an essential highlight of her perfect day. 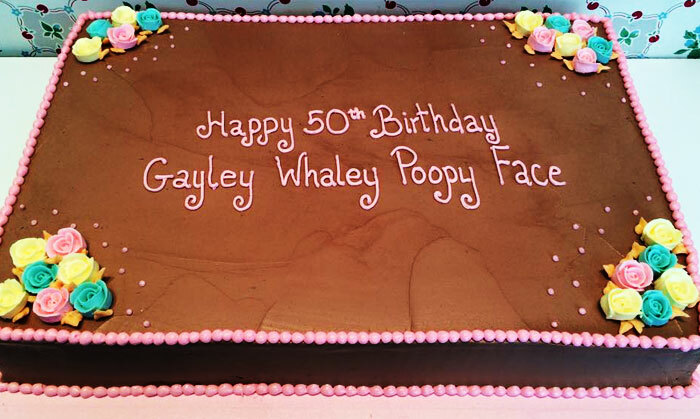 In the bakery, we see that people are just as emotional ordering a cake for a 1st birthday as they are for a 50th. Why is the cake so meaningful? We think it’s because cakes are on display as focal points of many a party. The act of cutting a cake reinforces the importance of the event, and when it’s time to cut the cake it’s always a big deal. We gather, light candles and sing at birthdays, we cheer and take photos at weddings, and we proudly reflect at graduations. At The Little Daisy Bake Shop we realize the significance of having a cake at an event and we never take it lightly. It’s why we limit the number of orders we will accept during any given week. 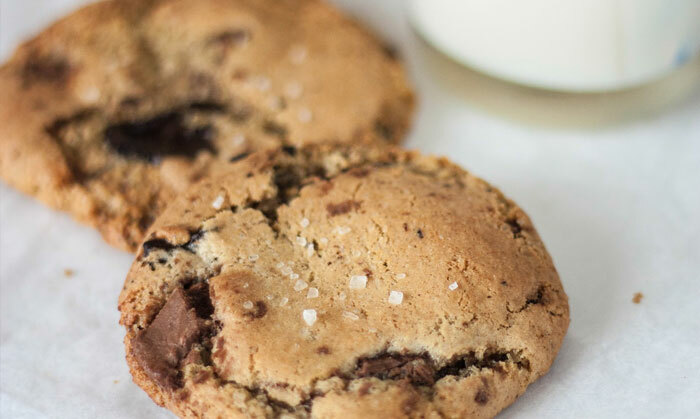 Each cake deserves time and care: from the making of the batter and baking it fresh (we never freeze them) to the last dot on the buttercream trim. We want our cakes to look fantastic, but most importantly, we want our cakes to taste delicious. What good is having a beautiful cake if no one wants to eat it? We once had a wedding guest send us a photo of our cake and then a photo of the empty plates at their table. They captioned it, “When have you ever seen empty cake plates at a wedding?” We loved that! Cake is happy. It’s celebratory: any way you slice it. 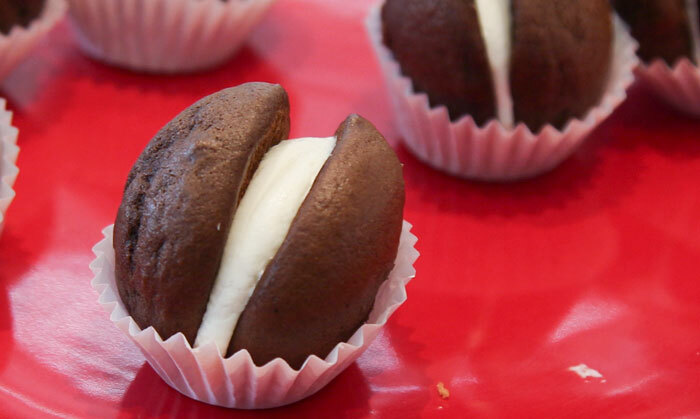 This weekend the cakes are all about America’s Birthday. The Little Daisy will be filled with red, white and blue. 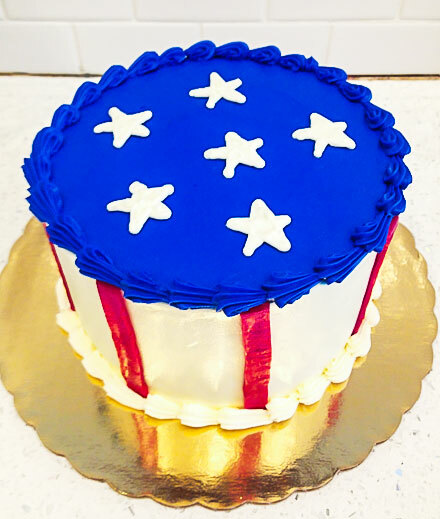 We’re creating birthday cakes with fun fireworks designs, cakes covered entirely in red, white and blue sprinkles, cakes with sugar cookie flags and cakes with stars and stripes. 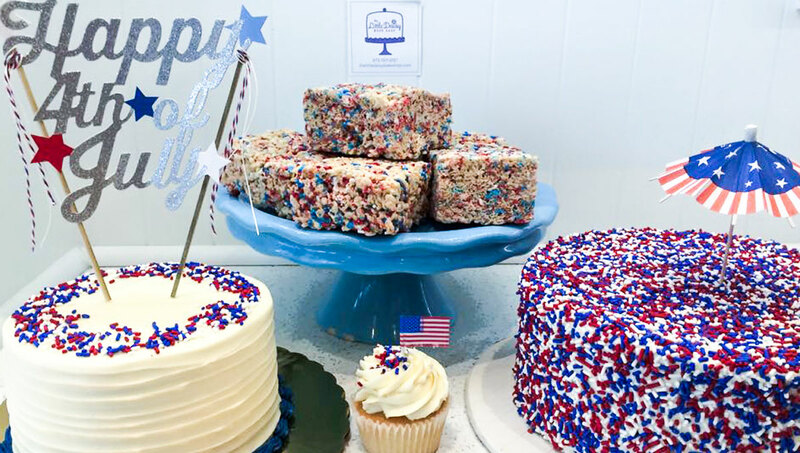 We hope you enjoy the parades, the Star Spangled Banner, the fireworks and, of course, the cake.